As experienced forklift dealers, we’ve helped plenty of customers through the buying process here at Benco Industrial Equipment. When you’re working on getting materials where they need to go and products out the door, you don’t have time to worry about your equipment. Investing in the right forklift will ensure that your logistics operations run smoothly and save you from unnecessary headaches down the line. Here are some questions to ask when starting your search for a new forklift. To answer this question, you need to look around and straight down. First and foremost, is your forklift going to be used to tackle indoor jobs or outdoor jobs? In an indoor facility where you have control over the temperature, an open cabin is likely your best bet. The open cabin provides better visibility for drivers, which can be critical to safely navigating inventory aisles. Now, if your forklift is intended for outdoor use, or your warehouse needs to stay at a temperature that’s not quite ideal for workers, a forklift with a closed cabin will likely be a better option. This way, your driver can set their own, more comfortable temperature, and be protected from the elements. Now that you’ve looked around, be sure to look down. Some forklift operators spend their day driving over smooth, polished concrete, while others are navigating potholed asphalt or dirt and mud fields. Be sure your forklift is built to go where ever you need it to so you don’t waste time with unnecessary alternate routes to avoid obstacles. Most forklift buyers start and stop their answer to this question at weight. First, make sure that any forklift you buy can handle more than your maximum load so you have the necessary leeway to avoid damaging your forklift. And be sure to think of the future. Do you foresee a need to tackle heavier loads in the near future? Then make sure your purchase now can do the job when the time comes. Next, you need to consider the dimensions of your inventory. Length, width, and height all play a role in determining exactly how weight is distributed, which affects how well your forklift can handle the load. Lastly, don’t forget to think about what types of inventory you’re working with. In warehouses handling food and drink, electric forklifts prevent you from having to deal with potentially contaminating emissions. Flammable materials likewise present their own challenges, with specific forklifts built to better ensure safety in these hazardous conditions. How often are you using your forklift? Four hours is typically the rule of thumb when it comes to answering this question. More than four hours of use per day is considered a lot for a forklift. That kind of heavy demand is likely to put a lot of wear and tear on the forklift and decrease its lifespan. In that case, a new forklift is likely your best bet. The further under four hours you go, the more it may be worthwhile to consider a used forklift, or even repairing or refurbishing your current forklift. Make sure you have a comprehensive understanding of the space over, under, and around your forklift. Doorways, ducting, beams, and loading bays may restrict the height of your forklift. 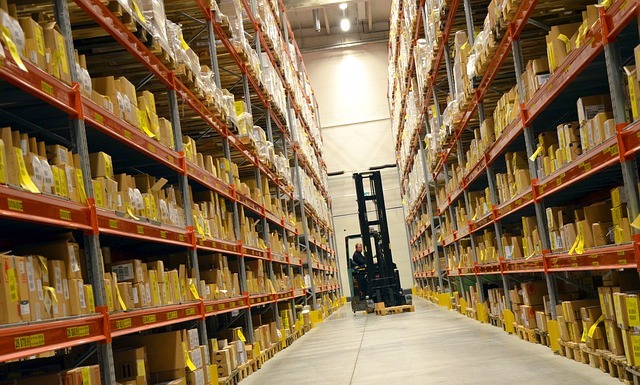 If the aisles in your warehouse are narrow or tightly packed, you’ll want a forklift with a tight turn radius. One of the biggest things to consider is whether you’ll want to use your forklift to load inventory inside trucks or trailers. To stack product effectively in such a tight space, you’ll want a forklift tailored to the job. Where are you storing your forklift? When people are considering the purchase of a forklift, their questions are usually centered on what’s happening when the forklift is in use. Often times, they forget to think of what happens when someone’s not behind the wheel. For example, the answers to all of your questions may have pointed you firmly in the direction of an electric forklift. But what happens if there’s no place inside or outside your warehouse to keep it out of the way while it’s charging? Maybe your forklift won’t be operating much outside, but will end up being stored there. In that case, you need to make sure it’s built to handle the cold or heat, depending on the climate. That affects everything from construction, to fuel and fluids. Give us a call at 888-9-GOT BENCO (888-946-8236) and we’ll be happy to walk you through the process of buying a new forklift. As a Certified Hyundai Forklift Dealer, we’ve got a great selection of Hyundai forklifts for sale to choose from.